We all need each other. As people we need(not want) human interaction and affection. Without them we become malnourished in body and soul. Our existence is nothing without love and connectivity to our fellow humans. A person who has shut themselves off from others becomes isolated and develops odd habits not practiced by mainstream society. Nourish yourself daily by engaging with others in conversations. When you walk down the hall look up instead of down at your phone. Stop avoiding looking people in the eye and saying hello!! 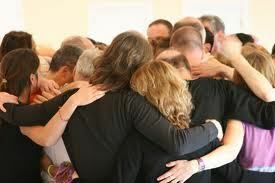 Make yourself available to accept affection from those who wish to give you a hug, a handshake or a shoulder to lean on when you need it. By nourishing your spirit you will also nourish someone else!